And praise Vince Zampella, no micro-transactions. Respawn Entertainment’s Titanfall will be receiving a Season Pass after all but while there will be paid DLC, studio co-founder Vince Zampella also assures us there will be plenty of free content. Some of it will include content that wasn’t ready for the launch but will be added later, including the ability to have Private Matches. Speaking to GameSpot, Zampella stated that, “We plan to do DLC to support the game. We’re going to do paid DLC. We’re also going to do free updates. We’re going to add in – there’s things that we want in the game that we didn’t get to ship in the final game, so we’ll add private matches and things like that for free. As for the Xbox 360 port of Titanfall, handled by Bluepoint Games, Zampella said he wanted it to be as close to the Xbox One version as possible. “That’s the goal. I mean the game’s obviously not done yet. [Bluepoint Games is] doing a port of our game. We just started our day on patch, so they now have to take that and integrate it into their game. So, they’re naturally lagging behind us. The goal is to get it as close as possible. Obviously it won’t be exact. It’s on a less powerful system. 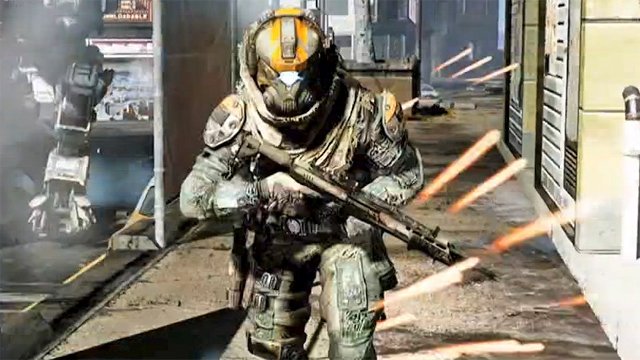 Titanfall releases on March 11th in North America and March 14th in Europe for Xbox One and PC. The Xbox 360 version will be out on March 25th and 28th respectively.